Mesa, AZ August 9, 2013 —Despite a couple damp mornings, DragonFire brought the heat to DuneFest, celebrating the family oriented event in Winchester Bay, Oregon, this past weekend. Marking the second stop of the DragonFire/MotoUSA Ride Tour triple crown, DuneFest was just part of an overall outreach for the UTV aftermarket accessory leader. In a departure from conventional wisdom, DragonFire also hit the big biker rally in Sturgis this week. The XP1K debut on the big screen was the perfect way to kick off the DragonFire/MotoUSA Drive-In Movie Night in the Oregon Dunes. 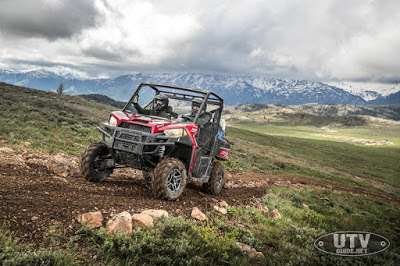 “DuneFest was a great event, highlighted by perfect weather, thousands of dune enthusiasts, the unveiling of the new Polaris RZR XP 1000 and of course the second stop of the Ride Tour,” says Ken Hutchison from MotoUSA. www.facebook.com/DragonFireRacing and check out our partners at www.facebook.com/MotorcycleUSA.